I wish that schools had murals about MegaMan stuff like the EXE series and SF. We need to spread the EXE and SF series all around the world. @Juan Carlos: Really? I think highly of EXE, but not to the point where we need to shove it down everyone's throats. That would have made me REALLY uncomfortable to be around. I was never a fan of murals, but if there's gonna be one, it might as well be awesome. My HS is so lame. -_- It barely has any classes, let alone anything as cool as this. That would be awesome to have at my school. It's so dull and full of "normal" people. I like being "different." What about putting a Megaman in each department? Art kids can keep Megaman Zero, comp sci and science classes get an EXE and SF, maths graced by the presence of X, Axl & Zero, English gets Classic Megaman and Protoman, Aile or Vent go with Social Studies and Volnutt can chill out at home ec. Everyone in the school is surrounded by awesome all the time. Victory is assured. @ AML - Fantastic idea! 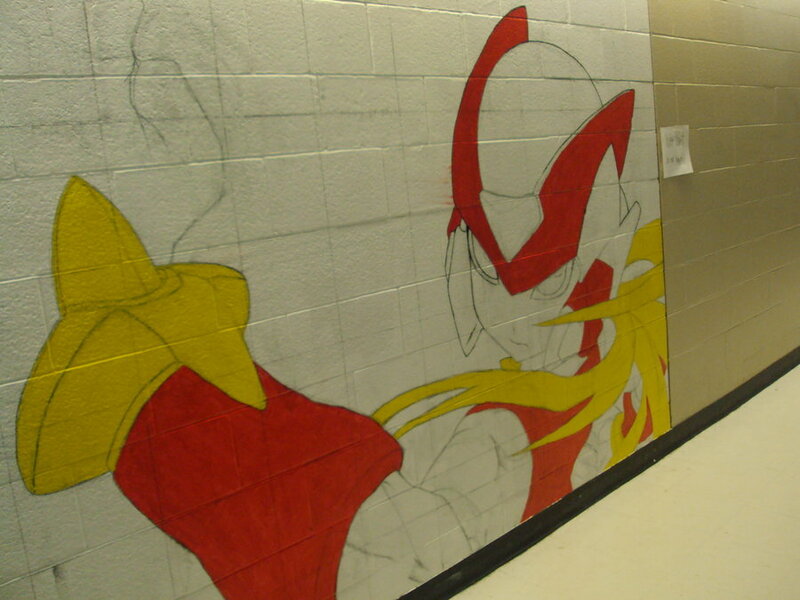 That'd be a great change from the same-old, same-old murals I had back in my school. I'd love to see the finished results!